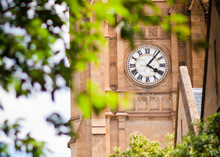 Fast-track your career with a master's degree in engineering or IT at Melbourne. Meet our staff and discover your graduate study options at Australia’s leading university for engineering and technology*. Find out about the cutting-edge projects you could participate in, meet academics from your discipline of interest and discover the exciting career opportunities for our graduates. We have designed our accredited and post-professional courses in close consultation with industry, providing students with access to internships and cutting-edge research projects. You will learn from leading academics at Australia’s No.1 university and benefit from strong employability outcomes, at an institution ranked 7th in the world for graduate employability^.